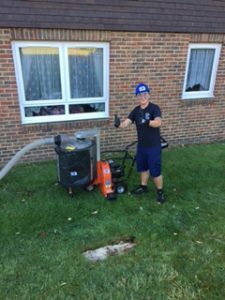 One of the many strings to our bow is that Carter and Faraday offer Gutter Clearing using our specialist machine. 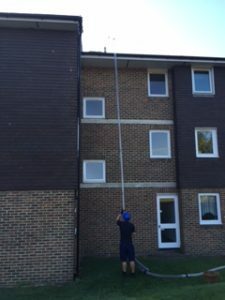 We had the team down in Polegate for a current customer carrying out a gutter clearance last week. 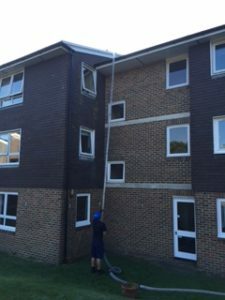 As it’s not a regular service we don’t have a designated operative to just clearing gutters but our window cleaners and supervisors are all trained on using the machine. Of course making sure that all personal protective equipment was in use! 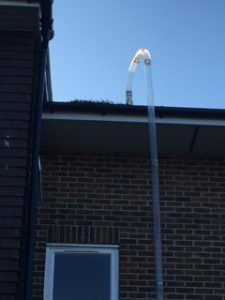 I would say now is the optimum time for you to get your gutters clear before all the rain starts falling, but with British weather its always raining!! Nevertheless call now if you are interested in discussing any requirements you have.